Kungsleden’s newly constructed property Isblocket in Hyllie, outside Malmö, is almost fully occupied. 3,862 sqm are leased in the office section, with only an office space of 551 sqm and two retail spaces of 64 and 105 sqm still vacant. Kungsleden AB (publ) acquired the office property Vagnslidret 1 in Hyllie just south of central Malmö in December 2014. The property, commonly referred to as Isblocket, consists of 4,500 sqm top modern office space in one of Malmö’s most expansive and accessible areas. “We very much look forward to moving into Isblocket during the spring. When we earlier this year realised that our current premises in central Malmö will soon be too small, it immediately became evident that Hyllie was our first and possibly only alternative. The convenience of the Öresund Bridge and Kastrup Airport are of course attributes that appeal. We are part of the Danish auto group Nic Christiansen Gruppen who has its head office in Kolding on Jylland. Being close to Denmark of course assists both business and communications. That Isblocket also happens to be the most attractive building in the area is a bonus”, says Jonas Lindow, CEO of BC Sweden AB. In addition to the tenants listed above, Kungsleden will move its regional office to Isblocket. Hyllie is one of Kungsleden’s prioritised cluster areas where we see great potential, partly thanks to the location next to Citytunneln (the train connection to Denmark), the Emporia shopping mall as well as the City’s ambitions to build a city district with a mixture of business, retail and housing. 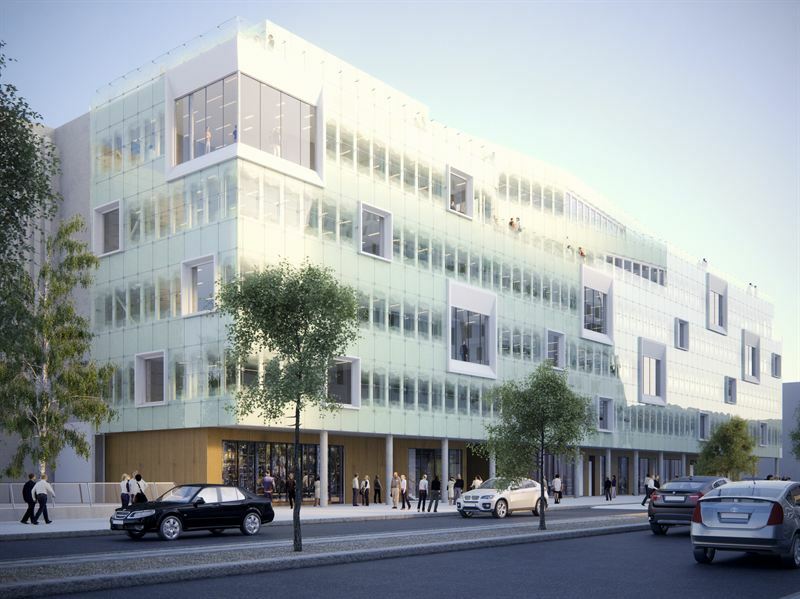 “We are delighted to in a short period of time be able to welcome five new tenants into our prestige project in one of Malmö’s most exciting areas. We see great potential in Hyllie and will together with the City and the other property owners continue to actively develop the area towards a dynamic and sustainable city district”, says Gert Ternström, Regional Manager Malmö. The information was provided for public release on 15 December 2015 at 7:00 a.m.